It begins working immediately right after you spread it. It won’t harm the snakes. It repels other pests too including the predator’s prey. 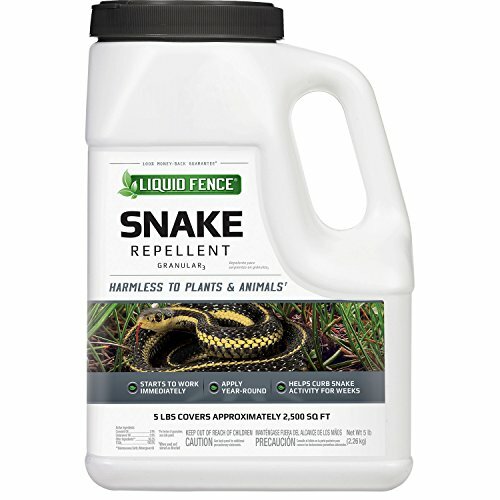 It is the only EPA-registered granular snake repellent. The manufacturer doesn’t recommend using it in your yard if you have outdoor pets. There are few pests more likely to cause angst than snakes. While most are harmless, a few such as the copperhead and water moccasin are venomous. Many aren’t aggressive either unless disturbed with some notable exceptions including the brown watersnake. However, our innate fear of them is likely a part of our evolutionary history. Havart is the manufacturer of Dr. T’s Snake-A-Way. The company specializes in pest control and invests a lot of effort in R&D and quality control. This product is no exception. You’ll find it in 1.75, 4, 10, and 28-pound sizes. The repellent plays on the reptile’s instincts to avoid unfamiliar smells in its environment. It acts without killing them at their first contact with the granules. 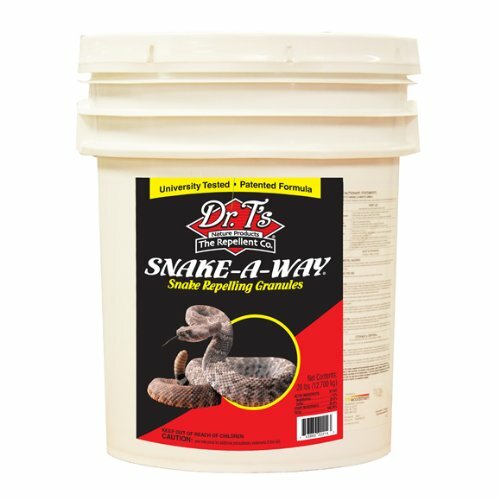 Dr. T’s Snake-A-Way provides a humane way to deal with snakes while offering additional pest control using ingredients that have a long history of pesticide use. It’s essential to remember that snakes are beneficial too as effective rodent predators. These pests carry greater health risks for you and your family with the added possibility of damage to your home. Havahart is one of 13 brands of the flagship company, Woodstream Corporation. They include a host of pest solutions from snakes to insects to deer. Their primary approach involves humane ways to deal with unwanted creatures by offering products such as repellents and live traps to manage an infestation. However, it’s imperative to use caution even pesticides with organic ingredients like this one. 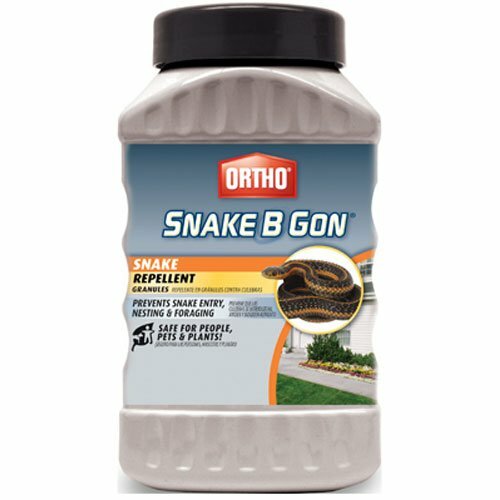 As the only approved snake product, you can rest assured that it meets the federal standards for use. That means the company has tested the product extensively to provide detailed guidelines on the correct usage. The label also has information on first aid actions to take in case of accidental exposure. We strongly urge you to read the instructions provided by the manufacturer before you use the product. Pay particular attention to any cautions about where you shouldn’t apply it and follow them to the letter. Pesticides like this one contain ingredients that are potentially harmful if used incorrectly. You shouldn’t use this repellent near areas where it can enter waterways because it’s toxic to fish. The usefulness of the product is outstanding with it repelling the majority of pests. The 28-pound bucket is the largest size of this repellent. It’s an excellent option if you have a severe infestation and need a lot of product to get the job done. The granular form makes it easy to apply with precise control over where you put it. The granules hold up well in the environment, offering lasting protection. Havahart went the extra mile to get this repellent tested by another laboratory to ensure its quality and effectiveness. 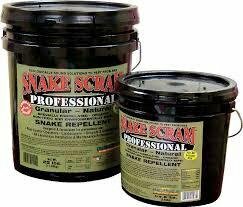 That means the company has the evidence to back up their claims of a deterrent that will rid your yard of snakes. The usefulness of the product is outstanding with it repelling the majority of pests. Residual effects increase the value of a repellent. This one lasts up to three months as a perimeter barrier. A six-inch wide band is enough to keep the majority of snakes off of your property. If you have a large yard, the bucket size makes sense for treating the entire area for immediate control. Bear in mind that the former is the main chemical found in another insect control product, mothballs. The active ingredient, naphthalene, is an effective organic insecticide that will both repel and kill other pests. Other organisms even produce it including some deer species and Formosan subterranean termites for protection against fire ants. It deters both venomous and non-venomous snakes. We can report that the repellent works against snakes and other pests as described. The action is possible because of the combined effects of its ingredients, naphthalene and sulfur. Together, they emit an odor that deters the reptiles immediately after the initial application. However, bear in mind that the former is the main chemical found in another insect control product, mothballs. There is a noticeable smell when you use it. In fact, it’s the means by which the manufacturer suggests you apply it again. Once it dissipates, it no longer is effective. Another concern is that they recommend not using it if you have outdoor pets. These factors put it in the dealbreaker category for some individuals. On the positive side, it can also deter other animals such as rodents. That will remove a vital food source for some snakes and further add to the product’s efficacy. We suggest that you weigh the pros and cons carefully to make an informed decision about whether it is right for you and your situation.